How is the different from client-side ad insertion? Server-side ad insertion implication: Why switch to server-side ad insertion? How does server-side ad insertion work? 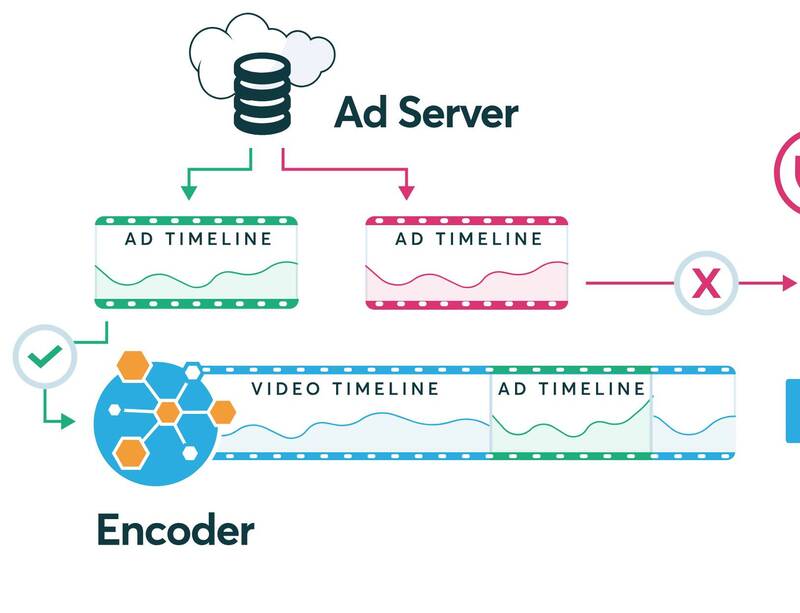 Server-side ad insertion enables advertisers to serve viewer specific ads to the audience. Since the ads are based on viewer insights, server-side ad insertion or dynamic ad insertion allows for a better ad campaign performance. It has been an age-old practice of serving all the viewers, the same commercial ad campaigns during a TV broadcast. But as technology advances, with server-side ad insertion, the advertiser can decide to adjust and optimize his campaign performance through impression tracking of the viewer in real time. To put it simply, the component responsible for executing these real-time decisions is the “ad server”. Through server-side ad insertion, an advertisement can be inserted directly in the video stream which then provides for a seamless switch between the content and the ad campaign. However, client-side ad insertion has been the common practice for ad targeting and personalization. There are a number of things un-elegant about client-side ad insertion. To start off, client-side ad insertion poses certain technological hurdles that can be difficult to overcome particularly during live broadcasts of sports and news events. In a client-side ad insertion, a separate video player is usually placed on top of the paused content video. More than the technological limitations, client-side ad insertion has a negative effect on viewer experience due to the latency and buffering issues. A major benefit with server-side ad insertion is the integration of the ad server with the content thereby negating the update of applications on the viewer side. It has been predicted that by the end of 2018, 90% of the entirety of the internet traffic will be driven by the online video content. It has been this increased demand of video content popularity that has the online video advertisers racing against one another to surge ahead. The major challenge for the ad content providers is figuring out avenues of monetizing the online content without turning away the extremely demanding online audience. Various consumer surveys conducted all over the world conclude that traditional forms of advertising, like TV commercials, has a positive effect on the viewer purchasing decisions. Contrastingly, an online display of an advertisement usually makes the viewer less inclined to buy a product or register with a service. These surveys don’t really point out that a consumer dislikes advertisements, but the fact that they don’t enjoy being interrupted. Online ads are most disruptive with respect to a seamless content driven viewer experience. There has been a surge in the popularity of ad-blocker software since 2015. Typically a video content is served from a CDN or a Content Delivery Network and the ads are usually served from a TPS or a Third Party Server. The two are integrated at the browser level when the viewer clicks to play a video. This fragmented delivery system is used by the ad-blocker software thus preventing the ad-server domain from delivering its content. Access to the publisher content is however unaffected. Server-side ad insertion, also called ad-stitching is a new advancement in ad technology which will make it possible for the ad content provider to bypass the ad blockers and deliver their online campaign in a seamless TV-like experience. Moreover, it can be done without sacrificing viewer personalization and relevancy, the two pillars of popular internet content. Through server-side ad insertion, the ad content can be virtually “stitched” to the video content at the CMS or the Content Management System level. Thus the ad blocker is rendered inactive as it is impossible to separate the publisher and the ad campaign content when delivered in a single package. However, it is essential to cope with fluctuations in demand for just-in-time server-side ad insertion. As a broadcaster must deal with the sharp peaks in demand during breaking news, sports events and popular TV series, a highly scalable architecture are required. Cloud-based video processing alongside server-side ad insertion is one-way broadcasters can scale up to the viewer demand. Client-side ad insertion hampers viewer experience. Waiting for a video to buffer makes a viewer tetchy, but if the page crashes after having sat through the pre-roll, he will be forced to refresh the page and start from the pre-roll again. This usually happens because client-side ad insertion platforms require a lot of per-platform code to be executed at the browser level. This is especially true when viewing through an app on a handheld device. There is a high development cost associated with client-side ad insertion technology while providing a fragile playback platform. However server-side ad insertion is simpler to build and manage. It is also less likely to crash irrespective of the environment. For a content provider, the main objective should be to have the advertisement seen and not just delivered. Ad blockers generally do not allow the third party ad content to play thereby disrupting the chances of a successful campaign. Through server-side ad insertion, the content provider can combine lightweight client-side validation to see impressions of the viewer about the product. Server-side ad insertion is indeed a vast improvement over the existing technology for delivering bespoke content. Linking the campaign to the content video is the best way to eliminate buffering. Since the ad and the content video are a part of the same package, they will be matching each other with respect to specifications, quality and resolution. This will result in a more TV-like experience for the audience. No more experiencing “buzzkills” associated with waiting forever for the video content to load. Better content delivery results in higher engagement and infrequent pushback from viewers, thereby building stronger relationships between the audience and the content provider.